Coffee farms sprang up in the Yanbaru area after coffea seedlings are reported to have been brought to Okinawa some 70 years ago. 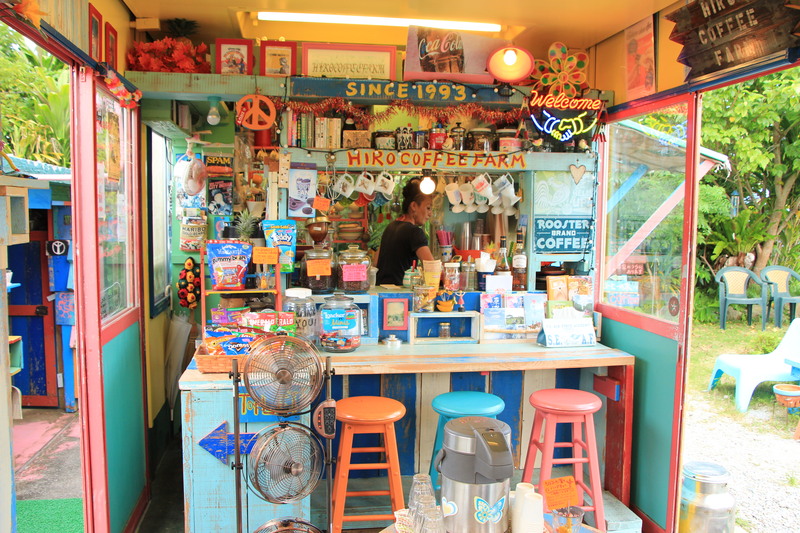 There are now more than a few dozen coffee farms here, but Hiro was one of the first. 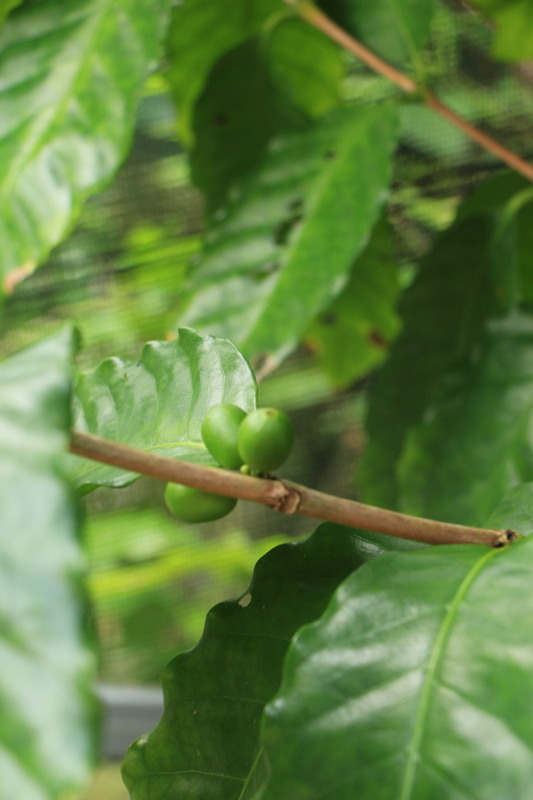 The slightly acidic soil and the temperature difference in this upland area satisfy conditions for growing coffee plants, but the area is also prone to natural disasters such as typhoons, making it difficult to secure a stable supply of coffee. 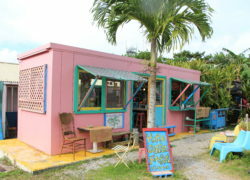 Inside a colorful tropical island-style café, visitors can enjoy various kinds of coffee, sausages boiled in coffee served on natural yeast buns and sweets such as coffee jellies. This is a pleasant place to take a break during a drive around the area. 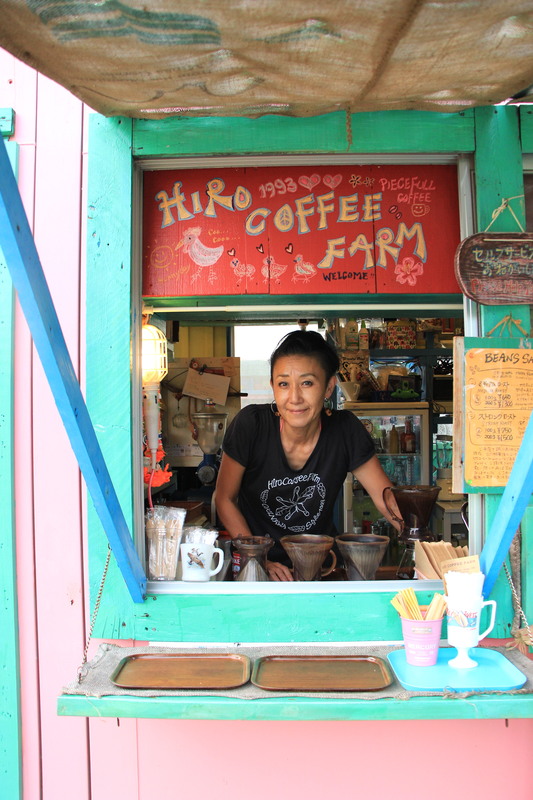 Tomoko Adachi, the daughter of Hiroshi Adachi, who founded the farm, has taken over the business. The farm was destroyed by three typhoons within a six-week period in 2012, but she has since reopened it and has said that the coffee beans are finally growing again, making a harvest possible this year.